BANDO C330 POWER KING V-BELT. 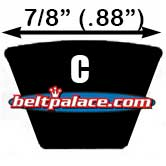 332 inch O.C., 0.88" top width. 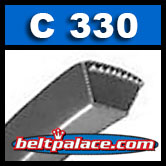 C330 Classical V-Belt. Premium Bando Industrial brand.